SpotMagic’s IDVMedia™ (Intelligent, Dynamic, Virtual Media) technology is designed to displace the currently omnipresent “document model” hypertext Internet content structure with a revolutionary new form of intelligent Web 3.0 HyperMedia. SpotMagic’s HyperMedia composer suite merges multiple applications of SpotMagic’s IDVMedia technology into one simple to use package that is ideally suited for large-scale creation and deployment of both online and offline interactive hypermedia. SpotMagic IDVMedia software applications and methodologies are designed to bridge legacy systems and object types to the Web 3.0 environment. IDVMedia overcomes the limitations of conventional first and second generation Internet solutions by providing one universal framework for media content of any type to be acquired, indexed, archived, organized, composed, distributed, and reproduced within a very secure and highly automated, self managing environment. 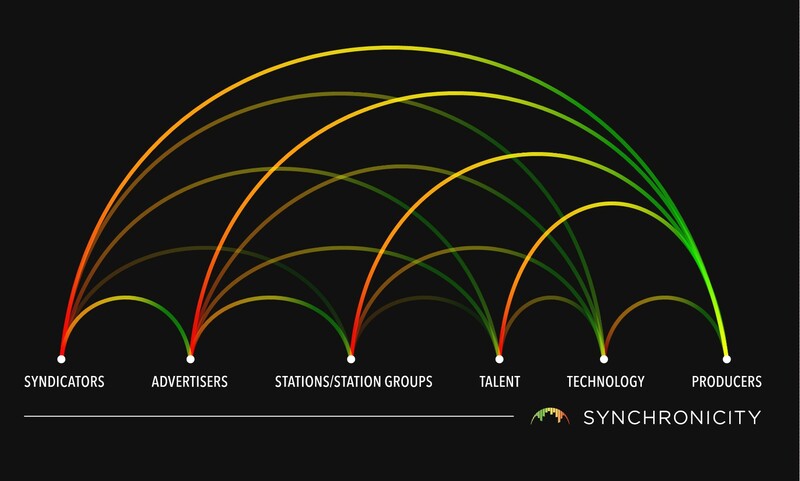 Synchronicity is a unified collaborative service platform specifically designed to make it easier for everyone in the broadcast chain to work together and reduce station owner costs. Now everybody; talent, producers, distributors, agencies, traffic and stations can all connect through one common platform to speed up and simplify all aspects of production and distribution of Radio programming and advertising. Simplify production workflow and eliminate satellite expenses. Transforms terrestrial Radio into personalized interactive hyper-local entertainment and information while reducing group operating expenses. Real-time private collaboration between clients, musicians, voice talent, studios and stations. Anytime, anywhere, real time control of terrestrial insertions synchronized with fully customizable and interactive Zip+4 localized playout.